In cloud applications – the server will offer support for a variety of programming languages whether running on containers, VM Ware or basic physical servers. Cloud Infrastructure – it offers a complete support package for both complete clusters and storage clusters. Last year Microsoft partnered with Docker, the open source project. This confirmed its interest in container technology and the latest server looks set to build upon this. A container offers a viable alternative to a fully virtual system; it allows applications to be packaged and moved from server to serve as required. It has been part of Microsoft and Google’s cloud operations for some time but is now becoming accessible to many businesses. The new server will allow Microsoft Hyper-V containers to run directly on the Windows operating system whilst Docker containers will need to utilise a Linux kernel on a Hyper-V virtual machine. The Hyper-V visualisation platform will now encompass rolling upgrades; this will enable Hyper-V clusters to quickly and easily migrate to Windows Server 2016. It will also be possible to add virtual network adaptors and even additional memory to any virtualisation system. Linux operators will be please to see a secure boot option for any guest operating system and there will now be support for nested virtualisation. This is an attempt by Microsoft to reduce the costs of running private clouds. Many small businesses need to use cloud management software to ensure they can access their information from anywhere securely and efficiently. However, this can be costly. Microsoft’s move into software defined data centre is reflected in improvements to the Azure on-premises storage platform. By creating an area within the server where information can be pooled and effectively virtualised will allow businesses to access this information from anywhere in a similar way to how VM Ware’s vSAN currently works. This is building on and continuing the systems built into Windows Server 2012; namely Storage Spaces and Scale Out File Server. The new server will also offer a storage replica service. This will allow data to be replicated in a block and synchronised in real time; effectively creating a back-up or disaster recovery solution. Perhaps most importantly will be the new rolling upgrades program. This will ensure storage clusters can be upgraded without needing to shut down the servers; less downtime equates better customer service and less disruption to the business. Before getting started with Windows Server 2016, you should know a couple of things. First you have to download the system and then download the preview. Please keep in mind that the preview will expire on July 15 next year. Last but not least, accept incoming emails because they offer important guidelines about the preview. When upgrading from an older version of Windows Server, make sure to uninstall the old variant; then you can proceed with a clean installation of Technical Preview 3. Be ready to activate, although for ISO installation you won’t be needed a product key. 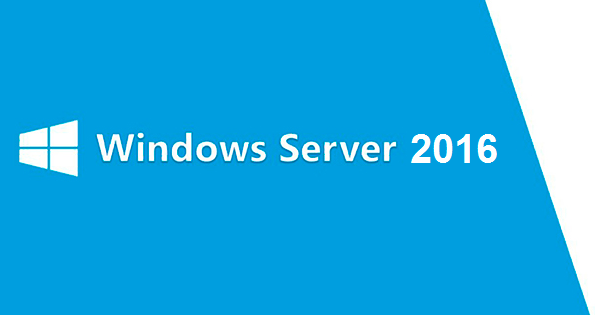 You can Download Windows Server 2016 Preview ISO Image Files via Direct Links available from Microsoft.